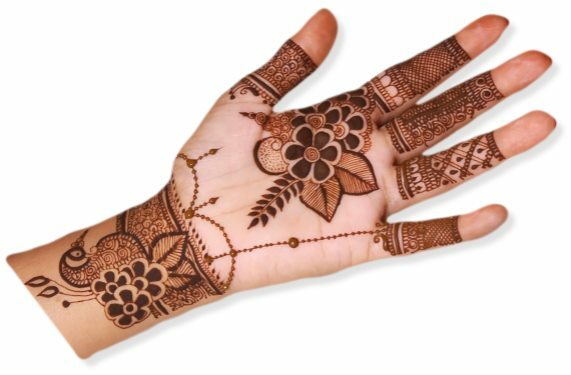 Indian mehndi designs are famous all over the world. 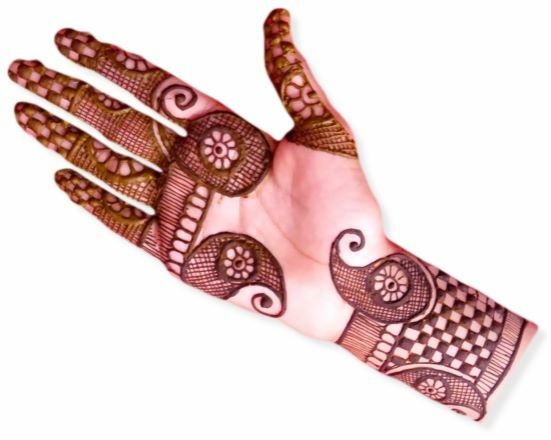 In India, there is a tradition of practising mehndi on the body parts on special occasions like Wedding, Festivals, etc. from the ancient time. 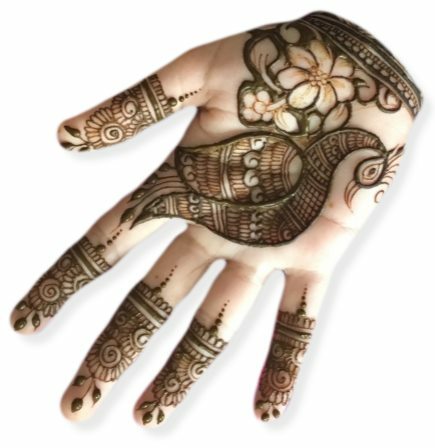 Everyone knows peacock is a very beautiful bird and in Peacock Mehndi, the beauty of the Peacock is drawn on the hand. 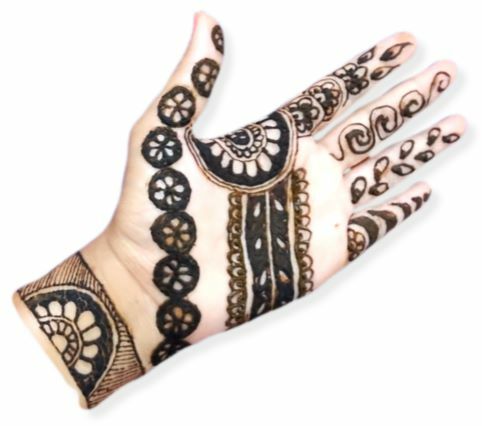 This is a backhand design of Indian Henna. 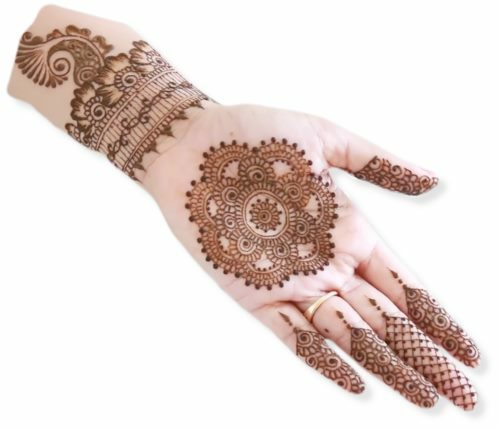 It is a mixture of Indian-Arabic mehndi, where flowers and wrist design are taken from Indian patterns and left of the pattern is taken from Arabic Mehndi designs. In South Asian Countries like India, Pakistan, Nepal, Bangladesh etc., there is a trend of wearing bangles of glass, gold, silver or other metals. 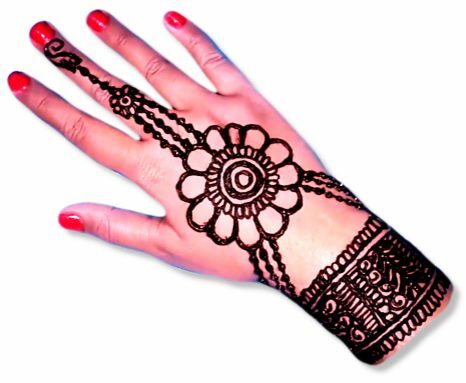 So Bangle henna designs are inspired by this trend. Dulhan is a Hindi word which means Bride and it is a special design for Dulhan. If you are going to be a bride, you can choose this design. This will definitely take the attention of many people. 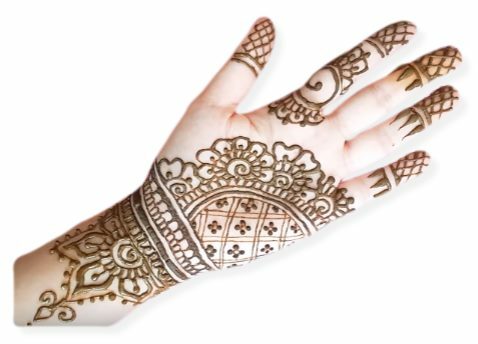 If you are looking for easy mehndi design, then this design will definitely make your work easier. It contains a Gol Chakra pattern that tied with a strip. 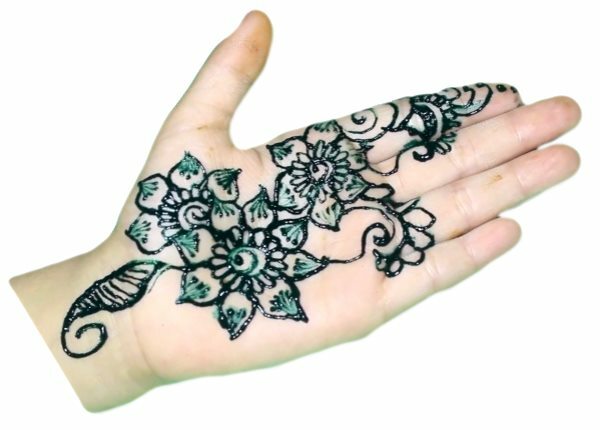 Try more easy mehndi designs. Festivals are celebrated with great fanfare in India. 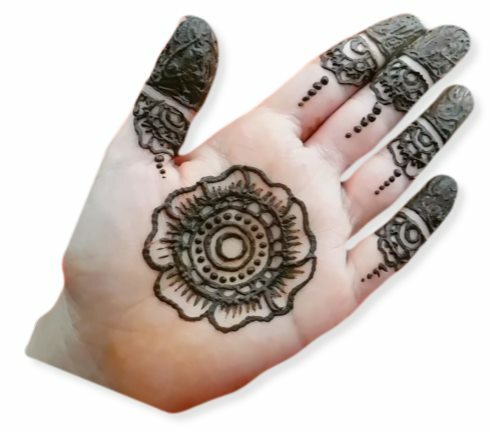 This is a special mehndi pattern for the festivals like Diwali, Eid, Holi, Christmas etc. You can also try it for casual days. Man has been associated with nature since the beginning and this flower design definitely gives you peace and nature touch. 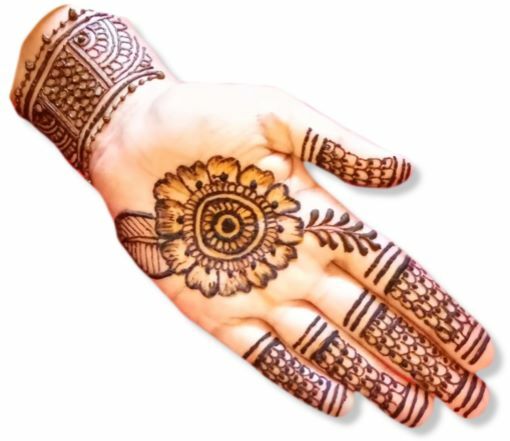 Gol-Tikki Mehndi is a very famous mehndi design and liked by everyone. Gol Tikki is a Hindi word and its meaning is Round Cake. 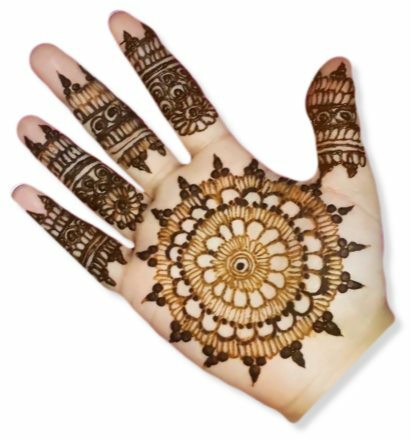 We also have a Gol Tikki or Mandala Mehndi designs gallery. Over the time our way of living, wearing and eating has changed. So it is obvious that renovation of mehndi is necessary for new age girls. A design that fits with modern living wearing and eating. The tradition of wearing ornaments is from the time of the kings in India. This pattern is designed by being inspired by jewellery. Here you can see, enough space was left to wear the ring. 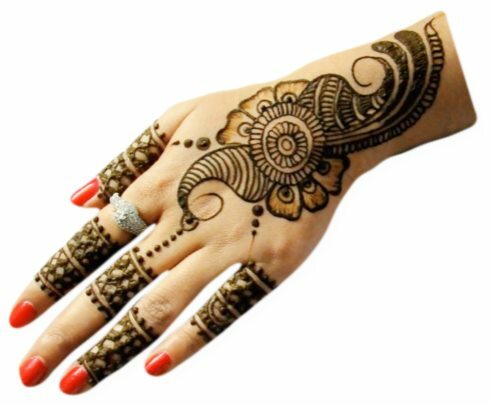 Try here if you only want Jewellery Mehndi designs. It is a tradition mehndi form called Mandala Mehndi. A Mandala is a spiritual and ritual symbol in Hinduism and Buddhism, representing the universe. So it is an opportunity for you to draw a universe on your hand. 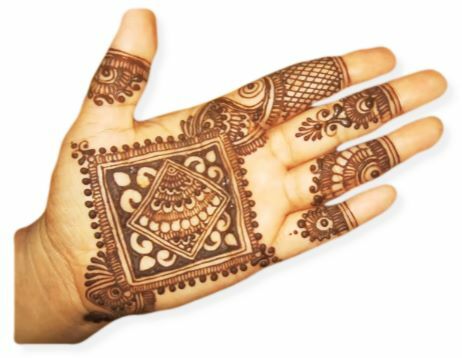 Marwar is a big region of Rajasthan, and their henna patterns are very popular in India. 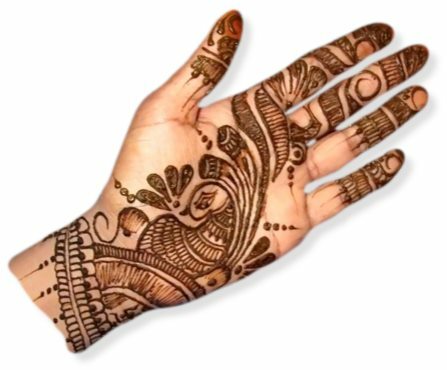 If you want to feel the Marwari Mehndi art, must go with this design. 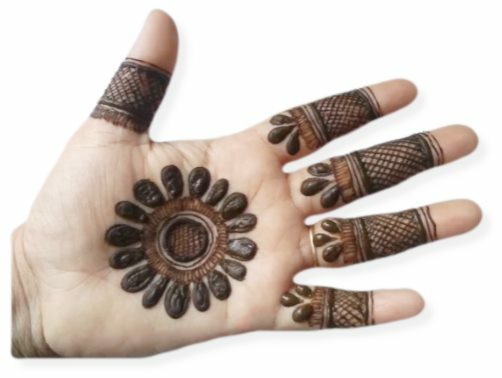 This is a simple palm design and it contains a sunflower that made in the centre of the hand. The pattern followed on the finger also tempting us. 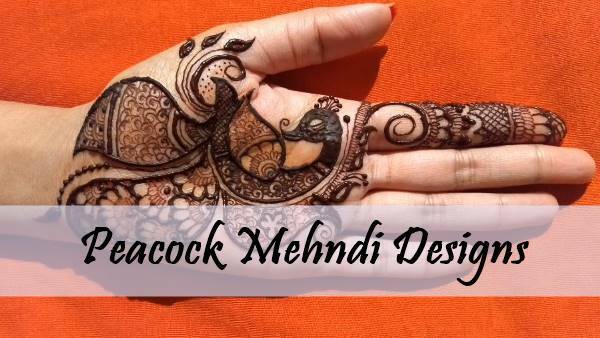 The beauty of this Peacock Mehndi design will surely force you to make it. I'm writing these words and say "I really liked this design too". We also have more Peacock Mehndi Designs. 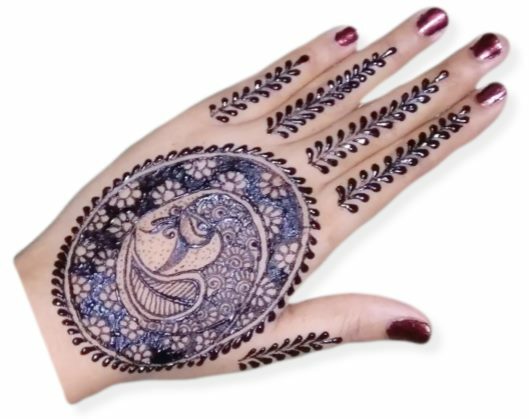 This is another palm flower henna design but you can see flower is different. Changes can also be seen in the pattern of the fingers. 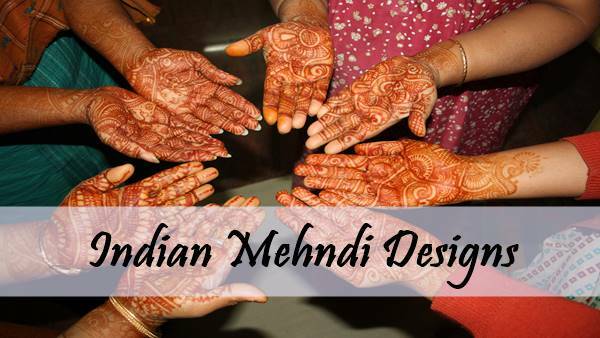 Rajasthan can be called as the birthplace of Mehndi. 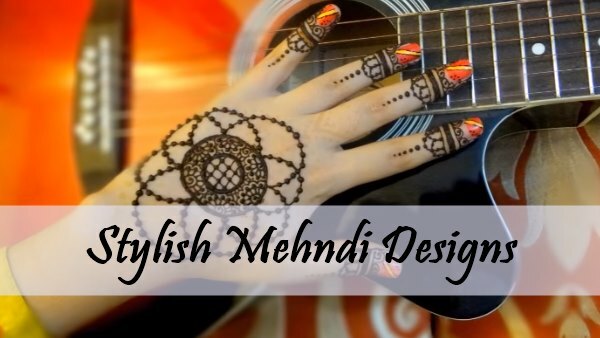 Rajasthani mehndi designs are also very popular in India. You can try this peacock henna pattern. 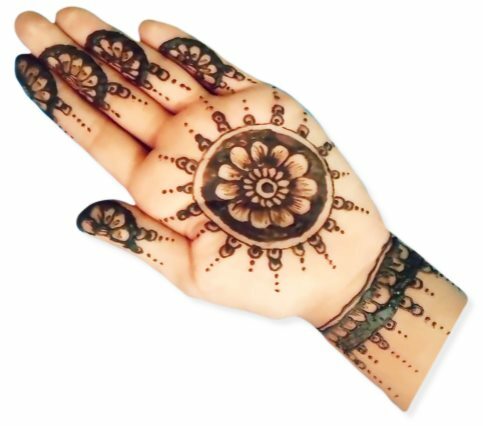 I don't know the reason, but many people look for the simple mehndi designs. For those people this design really helpful because it is simple, easy and unique. 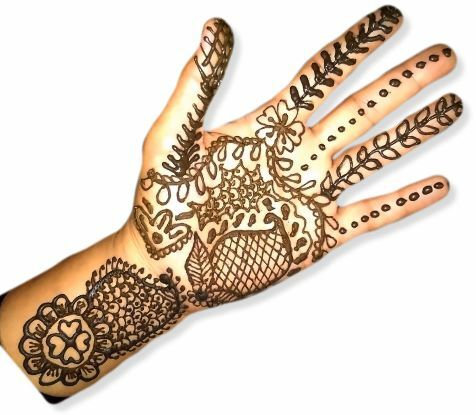 Hope you like it, if not try more simple mehndi designs. This design is for special occasions like Karvachoth, Diwali, Kitty party, birthday parties, etc. If you are preparing for special occasions, then try it. You will definitely find this design a bit off and unique. This design will look very fantastic with your check dress. The square inside the square is making the design more beautiful. 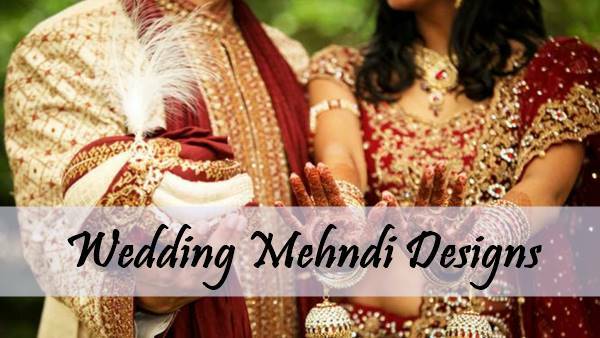 If you are an Indian, you surely know that there is a special mehndi ritual in the Indian wedding. 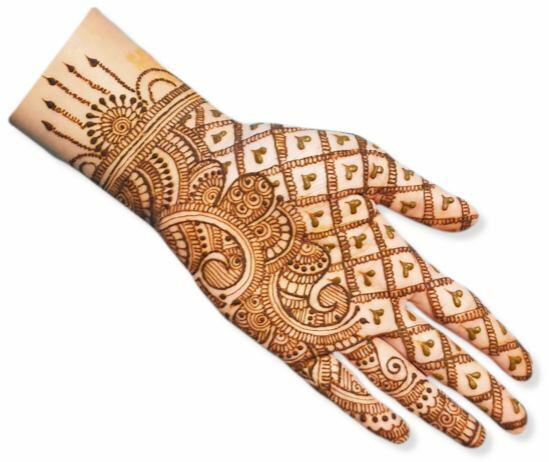 At that time all the women who came to the wedding impose mehndi in their hands. 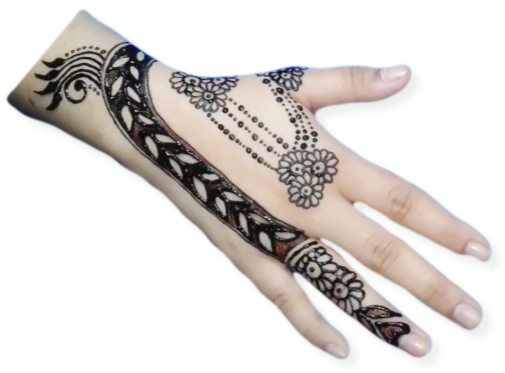 Check more mehndi designs for wedding. And this design especially is for that time.